Creating New Medical Ontologies for Image Annotation focuses on the problem of the medical images automatic annotation process, which is solved in an original manner by the authors. All the steps of this process are described in detail with algorithms, experiments and results. The original algorithms proposed by authors are compared with other efficient similar algorithms. 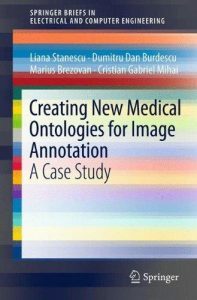 In addition, the authors treat the problem of creating ontologies in an automatic way, starting from Medical Subject Headings (MESH). They have presented some efficient and relevant annotation models and also the basics of the annotation model used by the proposed system: Cross Media Relevance Models. Based on a text query the system will retrieve the images that contain objects described by the keywords.